Great puzzle game with a picture of the game most played video games such as grand theft auto san andreas. The first puzzle is easy but when you level the puzzle is further complicated. Use the mouse to click and drag the pieces. You can choose different levels of difficulty, each time you level raise the level of difficulty. Play the game where Nic goes bike down the street of the Saints. 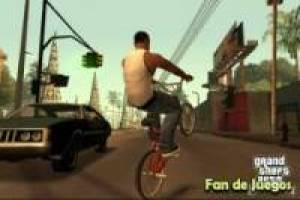 Enjoy the game Grand theft auto san andreas bike: Fandejuegos puzzles, it's free, it's one of our Friv games we've selected.